Okay, I'll admit it. I've been converted into an origami aficionado. Ben Coleman's intriguing Benagami started it, then Vania Passos's elegant floral arrangements, and for sure, the Klutz Fashion Origami book which proved that heck yes, I can follow little diagrams! Mike is quite a prolific folder. 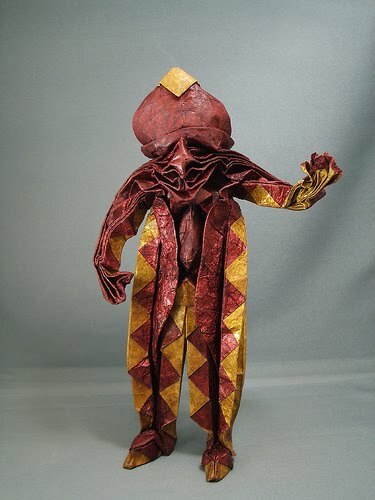 He began doing origami early in 2008, and by the end of that year was creating original, intricate designs with paper squares - no cutting, no gluing. All photos are by Mike Van Horne of his own work. Every time I come to your blog I feel like a little kid looking through a toy store window at Christmas time :) Wow, those are impressive. I think I'm in love with that owl. Those are amazing! The moose and praying mantis are probably my favorites, but they are all absolutely stunning. And what's really amazing is that he hasn't been doing this for very long! Mike is the "Paper Whisperer!" 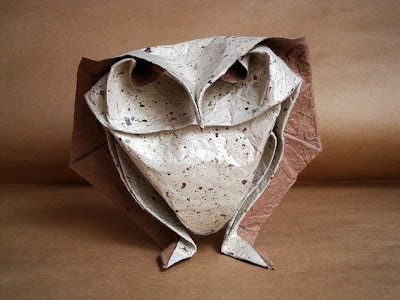 He seems to incorporate the textures and designs of the paper with the architecture of each fold. 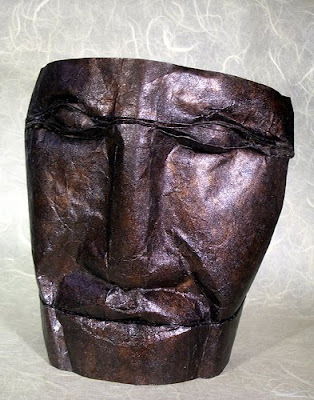 It seems instinctual and would be interesting to see what direction he takes his art. (Since he's fairly new to origami, that is.) Great post. 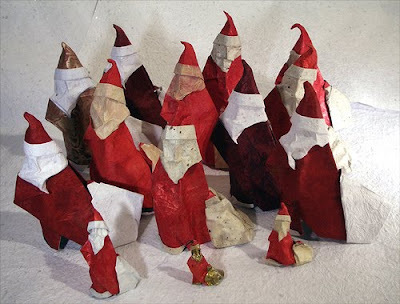 Thank you for sharing this, it is not only art but entertaining as well. The tarantula is so life like to the point of scary, what an artist he is! Thanks for sharing,Ann! what a talent! 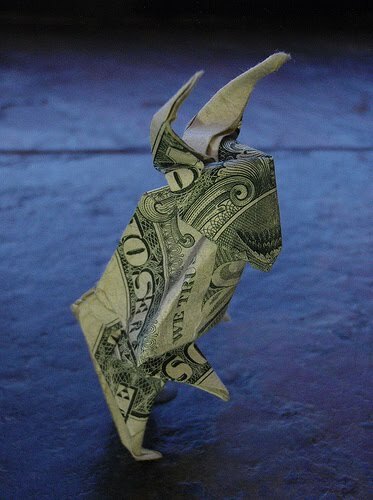 the dollar minotaur is amazing ,can't believe the praying Mantis is folded paper. You always show us such interesting things...thank-you! I am in love with the owl too!!! Wonder if he would show us how? simply awesome. 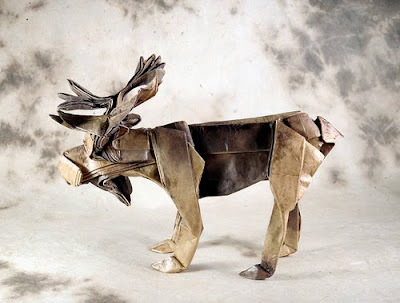 Can u pls tell me where i can see the video(tutorial) of the above origamis..
hi the last comment by from me..
Wow! Very stunning picture of origami. 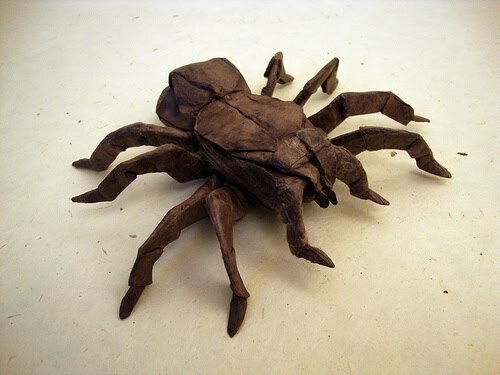 All Origami is so amazing. It is not an easy thing to do. 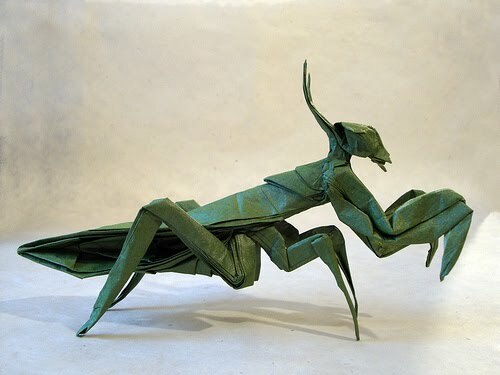 I really love the praying mantis origami. It is so cool.